While most public utilities treat water used for public drinking water supplies based on the water quality data recorded at their water intakes, recent source water contamination issues throughout the country have proven this is not enough. In order to have adequate time to react to source water contamination real-time water quality monitoring systems must be installed upstream of the drinking water intakes. By installing upstream early warning systems, the utilities are able to reduce the risk of facility contamination while also greatly reducing the risk to public health from exposures to contaminated water. To overcome the unique challenges presented by monitoring in navigable waterways Aridea Solutions has engineered a turnkey solution for early warning detection in source water. The Terralytix Edge Buoy descends water quality monitoring to new depths. By combining the Terralytix Edge and the Terralytix Transport on a waterproof platform, environmental parameters are monitored in the water in real-time. 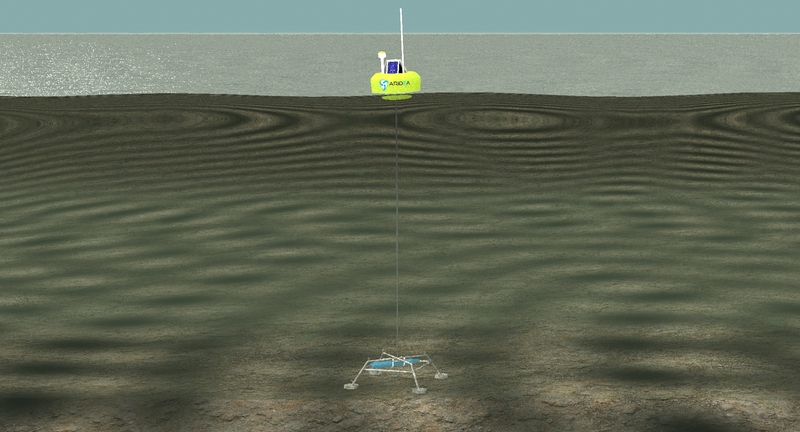 The submerged platform connects sensors at different depths from the waterway floor to surface, allowing data capture for the entire aquatic environment. A Terralytix Edge Buoy capable of recording and transmitting data from sensors that capture crude and refined fuels (PAH/BTEX), DO, pH, ORP, Temp, Cond, Turb, Flow/Velocity and gauge height. Data is made accessible through the internet via a cellular broadband connection to the Terralytix Portal software platform. The communications platform runs on battery power re-charged using solar panels; requiring no hardwired power. Aridea Solutions’ Terralytix Edge Buoy provides an incredibly flexible solution that allows for the collection and aggregation of multiple environmental parameters through a single pane of glass interface utilizing best of breed, off-the-shelf sensor technology. This flexible solution is achieved by Aridea Solutions’ sensor agnostic communication and data delivery system. Due to the flexibility of this sensor agnostic design, the Terralytix Edge Buoy can easily be configured to meet the needs of any lake or reservoir early alerting system. With sensors placed at various levels in the water column, we are then able to more accurately alert on potential threats regardless of if they are lighter or heavier than water. This platform flexibility, working in conjunction with Aridea’s Terralytix Portal software, allows for real-time data alerting via text, email or phone call. These early alerts can make all the difference in the protection and possible prevention of contamination of an entire drinking water system.